The sun has set on Sunshine Week this year. It’s also a time in which reporters like to write stories about examples of government agencies not living up to its stated goals of of open government and freedom of information. Of course, we like to do this as much as possible throughout the year. But somehow it’s more fun to write about the dark clouds of government secrecy during Sunshine Week. 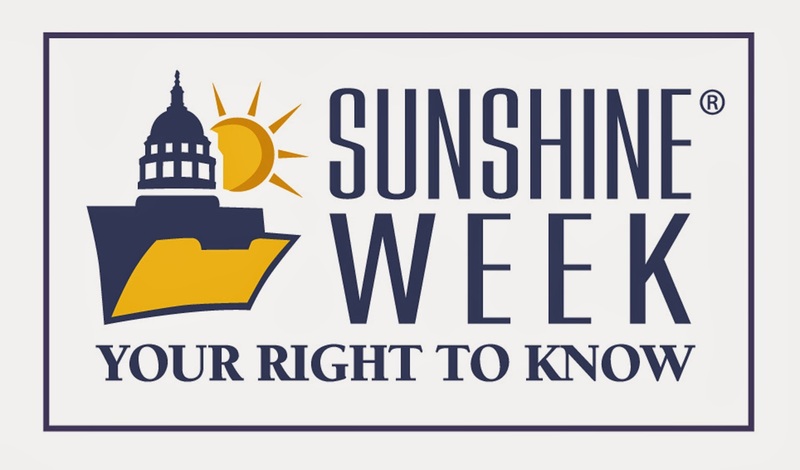 My contribution to the cause this Sunshine Week was a story about trying to get information on how much state money was used to pay for the travel of Gov. Susana Martinez and her entourage for various out-of-state trips last year. Basically, I’ve waited almost six months to get the first batch of expense reports and more than three months for the rest. While the Governor’s Office has provided me with dates and destinations of the trips, the state Department of Finance and Administration has claimed my requests were too “broad.” So, I’ve been told, more time — months and months more time — is needed to compile the information.